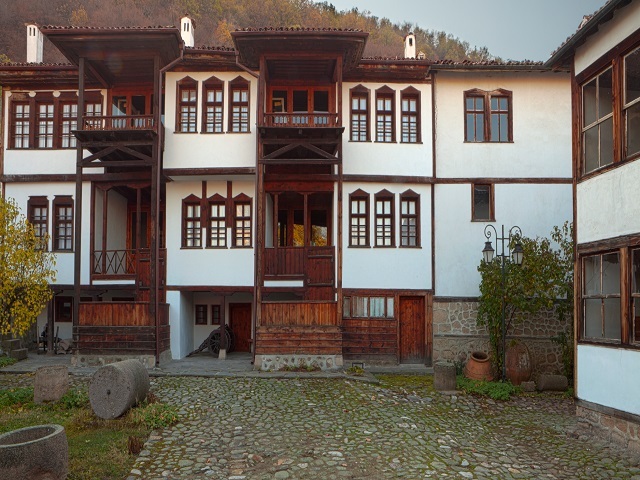 Western Rhodopes tourist region has a rich history – the oldest artifacts are dated to 5 thousand years BC. The interweaving of many cultures and traditions over time creates the mystical charm of this region. Smiling, hospitable people, delicious food, wonderful views and crystal-clear air reinforce its uniqueness. Thus region attracts lovers of cultural tourism from all over the world. 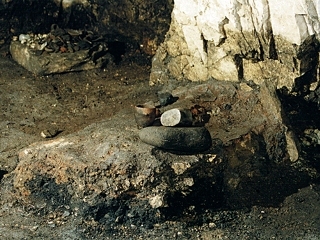 The region was inhabited as early as the Paleolithic (Old Stone Age) – near vilalges of Trigrad and Yagodina, and Orpheus Hut were found charred wheat, bone tools, needles, knives, amulets, idols and others. Inside the Yagodina Cave traces of life from the Neolithic era are found. Among the most interesting finds are various household utensils – cups, bowls, plates, etc. made on a manual potter’s wheel. The region was inhabited by Thracian tribes – from the late Bronze Age to late antiquity. The most common monuments of Thracian culture are mounds and sanctuaries occurred on bare mountain peaks. There are suggestions that the second most important sanctuary of Dionysius (after the sanctuary at Delphi) was located on Mount Videnitsa. In the area of ​​village Ravnogor (municipality of Bratsigovo) the largest domed tomb in Bulgaria was found, together with 19 smaller tombs. 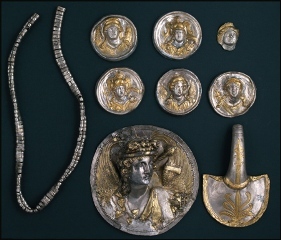 There various burial gifts were found, as well as a full set of ornaments for horse trappings of high artistic value (made of silver and covered with gold leaf) which is known as The Ravnogor Thracian Mounds’ Treasure. Near the village of Isperihovo another group of mounds were found. Burial gifts, bronze vessels, pottery were uncovered here during excavations. One of the finds – a ceramic statuette of the Goddess of Love Venus, is especially valuable. It is dated to the 1st C BC and is unique also because the name of its author, Anicius, is inscribed on the back. During the Middle Ages in the region were built several fortresses – Kaleto near Devin, Vastrahokastron near Bratsigovo. There are also ruins of medieval castles near the villages of Rosovo, Byaga and Kozarsko. During the Revival (bulgarian Renaissance) the local builders became renowned in the region and in the whole country for their mastery. There are over 90 architectural monuments in Bratsigovo, including the native houses of V. Petleshkov and Hristo Gyulemetov-Bonbona which are sites of national significance. The remaining monuments are sites of regional importance. The St. John the Baptist’s Church and the church tower as well as some other Revival-period buildings are architectural cultural monuments. The foundations of the Bratsigovo church were laid in 1832 and it was finished in 1833. It was built by the best masons in Bratsigovo including the master mason Atanas /Nase/ Hristov-Gurneto (nicknamed the Pot). Pots were embedded in the church’s interior wall for better acoustics, hence the nickname of the master builder of the church. The highest church tower on the Balkans was built by master Ivan Draganov /1884-1886/. It adds the finishing touches to the town-planning in Bratsigovo. A number of bridges nearby Bratsigovo are also architectural monuments – the Dragov, Dukov, Raychov, Prevrenski and Umishki bridges. Borino Tourist Info Center. To demonstrate the craftsmanship of the local masters the Info Center showcases a unique for the region exhibit of weaving examples and wood carving as well as objects of everyday life. The Town’s History Museum. It is located inside the old building of the municipality. The building has been restored and renovated. The exhibit takes two floors. Ever since ancient times, the Bratsigovo lands have been inhabited by Thracians, Slavs and Romans. The history museum displays artifacts from the life of the ancient inhabitants of the region – tools, objects from their everyday life, ancient coins, statuettes and others. 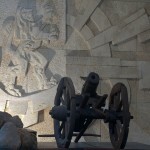 There are numerous items related to the revolutionary battles of the Bratsigovo people – from the April Uprising, the September Uprising, the Guerilla movement, the First and Second World Wars. The only remaining authentic cherry-tree cannon testifies to the bloody romanticism of 1876. Two permanent exhibits, which are part of the collection of the town’s History museum, can also be viewed. 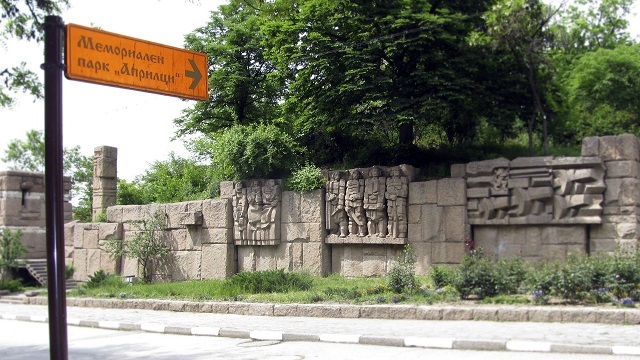 One is housed in the Art Gallery and features paintings, sculptures and graphics by renowned Bulgarian artists, the other is an outdoor exhibit of the artwork of the world famous sculptor Prof. Krum Damyanov. Ethnographic exposition. 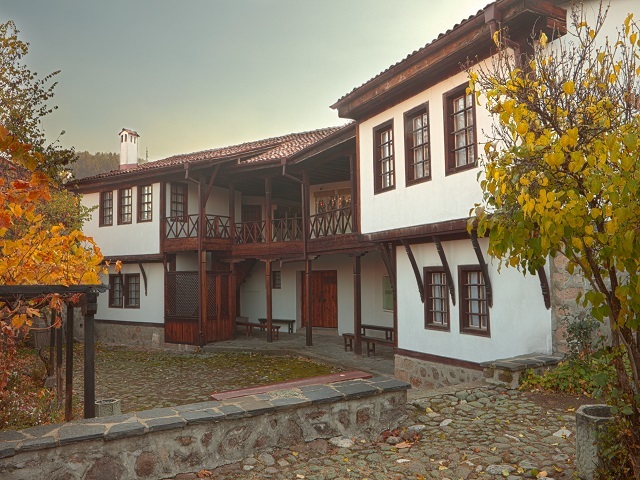 The ethnographic exhibit is displayed in Kanevata kushta (The Kanev’s house) that was built at the end of the 19th C and restored in 1984. The house is a remarkable architectural monument where the traditional occupations and the everyday life of the Bratsigovo people are presented – the craft of rose-production, cooperage, weaving etc. The Museum of the Bratsigovo Architecture School is located in one of the region’s most interesting and imposing houses – Popovata kushta (The Popov’s House), built in 1848 by local masons. The Bratsigovo master builders formed an official mason’s brotherhood in the 18th and 19th C – they had their secret language, a hierarchy of 403 masons, regulations and a stamp of their own. The Apriltsi Memorial Park is a significant part of Bratsigovo’s town planning. On the spot where Vasil Petleshkov was once burned at the stake now stands a monument to the Bratsigovo apostle; there is also a park with a memorial alley decorated with the busts of the leaders of the Bratsigovo uprising, a wall of fame and a monument of the sacrificial stake all of which are designed by the sculptor Blago Iliev. The architecture of the present day Community Center stays true to the traditions of the famous master masons and is the town’s informal symbol. 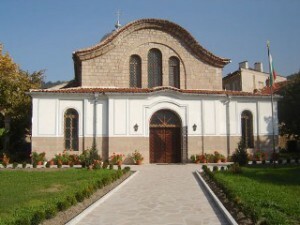 The building was granted by the Bulgarian government after 1945 in recognition of the town’s contribution and the victims it gave in the country’s various wars and revolutionary battles. The Museum of the Rhodope Fountain. The inhabitants of Dospat are known all over Bulgaria for their fountains. Locals have built over 2000 fountains in the municipality in memory of loved ones – they are so many that you can hear water running at almost every step. 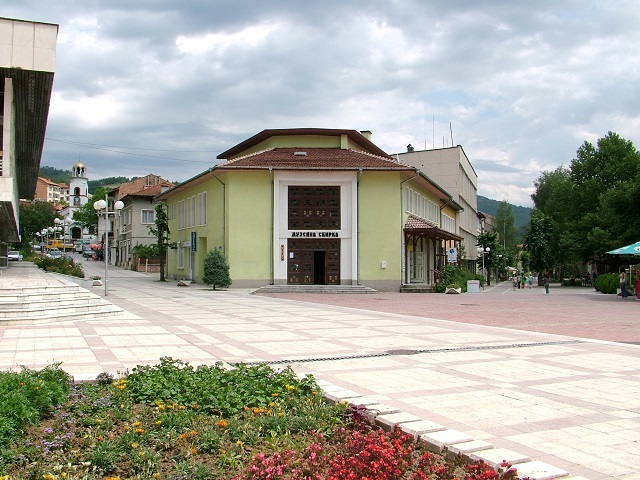 One of the landmarks of Dospat is the Museum of the Rhodope Fountain. This unique for Bulgaria museum is an outdoor park showcasing scale models of the most renowned Rhodope fountains. The outdoor park is located amidst a dense pine forest nearby the football stadium of Dospat. The museum-park aims to be a place for walks and relaxation and at the same time to introduce the visitors to the tradition of granting a fountain and the craft of fountain-building.